J.G. Ballard (born 15 November 1930, died 19 April 2009) was an English novelist, short story writer, and prominent member of the New Wave movement in science fiction. His best-known books are Crash and the semi-autobiographical Empire of the Sun, made into a film by Steven Spielberg, based on Ballard’s boyhood during the Second World War. 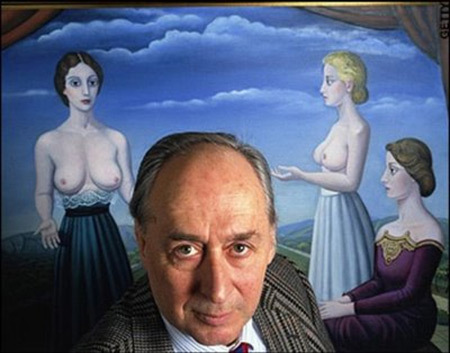 His work has given rise to the adjective ‘Ballardian’, defined by the Collins English Dictionary as ‘resembling or suggestive of the conditions described in J. G. Ballard’s novels and stories, especially dystopian modernity, bleak man-made landscapes and the psychological effects of technological, social or environmental developments’. Any fool can write a novel but it takes real genius to sell it. I felt the pressure of imagination against the doors of my mind was so great that they were going to burst. Fiction is a branch of neurology: the scenarios of nerve and blood vessels are the written mythologies of memory and desire. But I wouldn’t recommend writing. You can be a successful writer and never meet another soul. I’m not sure that’s a good thing. I work for three or four hours a day, in the late morning and early afternoon. Then I go out for a walk and come back in time for a large gin and tonic. I’ve never suffered from writer’s block. I have plenty of ideas, sometimes too many. I’ve always had a strong imagination. If it dries up I’ll stop and look for another career. If their work is satisfying people don’t need leisure in the old-fashioned sense. No one ever asks what Newton or Darwin did to relax, or how Bach spent his weekends.